Home Blog What is Hemp Oil for Dogs? Benefits, Brands, and More! Why Use Hemp Oil for Pets? Canada recently became the latest in a long list of countries to legalize marijuana, and the use of hemp-derived CBD and other similar products is becoming commonplace even in countries where cannabis use is either forbidden or highly regulated. Hemp oil is a useful supplement for both humans and dogs. Hemp oil is derived from the hemp plant, which is closely related to marijuana, but slightly different. Cannabis is rich in THC, which is a psychoactive cannabinoid. That’s the part that gets you high. Hemp contains no, or almost no, THC, so it is safe to use even if you don’t want to get high. Hemp products are useful for dog owners because they are a way of providing the dogs with important fatty acids such as GLA. If your dog does not get enough omega fats, then they may need to supplement them, and hemp oil is a simple way of doing this. Hemp seed oil can improve skin health (as shown in this 2005 study https://www.ncbi.nlm.nih.gov/pubmed/16019622), make your dog’s coat thicker and healthier, improve their digestive health, and regulate their appetite. Hemp seed oil and Hemp-derived CBD oil are similar, but there are some differences. CBD oil is extracted from the flowers, buds, and stalks of the hemp plant. The plants chosen are selected because they are rich in CBD and low in THC. CBD is a great medicinal product that is anti-inflammatory, anti-emetic, anti-bacterial and anti-convulsant. Hemp-derived CBD oil is safe, legal and a great supplement that the medical community has decided is worthy of further research. 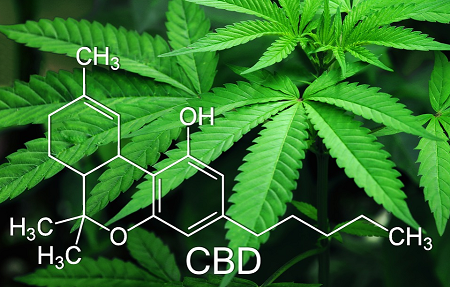 CBD oil is often promoted as having anxiety reducing, pain relieving benefits, and there is some promising (but as yet not conclusive) evidence that it could reduce cancer risk too. Hemp seed oil is extracted from hemp as well, but the plants that are chosen are ones that have lower CBD content and lower THC content too. Hemp seed oil is unlikely to have the anxiety-reducing, pain-relieving impact of hemp-derived CBD oil but it has numerous other benefits. It is rich in nutrients including omega-3 and omega-6 fatty acids, and it also contains antioxidants. Indeed, it is thought to have better antioxidant properties than Vitamins C and E.
One of the challenges with giving dogs hemp oil products is that hemp oil has quite a strong taste and a dog is unlikely to be enthusiastic about taking it sublingually. Rather than doing this, you might want to use treats or supplements. There are some great CBD Dog treats out there. One popular brand is Honest Paws. They make several different lines of a treat, including Calming, Restorative and Relief treats with different strengths of CBD in them. These treats are flavored just like regular dog treats, so your four-legged friend will love them. Another good brand is KarmaPets. This company makes a range of calming treats that are natural, vegan, and designed for pets. If you decide that you’d rather give your dog hemp oil than CBD oil, then you’ll want to make sure that you get the dosage right. For very small dogs, a dose of just 1ml is sufficient. Indeed, as a good rule of thumb, add half an ml for every 10lb of body weight – so a 30lb – 40lb dog would get a 2ml dose, and an 80lb dog would get a 4.5ml dose. Even the amount of GLA in such a small dose could actually have protective properties, including reducing cancer risk, as this 2006 study (https://www.ncbi.nlm.nih.gov/pubmed/17168669) shows. When it comes to hemp oil, look for a brand that is designed for consumption by pets, especially if you are buying a flavored oil, because not all of the flavorings that are used in ‘human food’ are suitable for consumption by dogs. There are several companies that make pet-specific hemp oil, including OmegaPets. Look for one of these brands to ensure that you are taking something that is safe for your dog. Note that oils designed for vaping are very different to oils that were designed for topical use or for oral use. Make sure that you get something that is intended for the method of application you plan to use. Food grade hemp oil may cost a little more and need to be stored carefully, but it is best to choose it rather than running the risk of making yourself or your pet ill with something that is not suitable for consumption. There is still a stigma surrounding hemp products, and some people worry that if they give such products to their pets, they are ‘giving their pet drugs’ or getting them high. This is not true. Hemp oil will not get your dog high. It is not a drug. The amount of THC in hemp oil is somewhere between zero and a trace so small that even a mega-dose of the oil would have no appreciable effect. Breaking that misconception would be a huge step forward for health, nutrition, and supplementation for both humans and pets. Hemp oil is a supplement, nothing more. If you are happy giving your pets vitamins or a fish oil supplement, then you should see hemp oil in the same light, and realize that it is simply a way to keep your pets vibrant and healthy for longer.